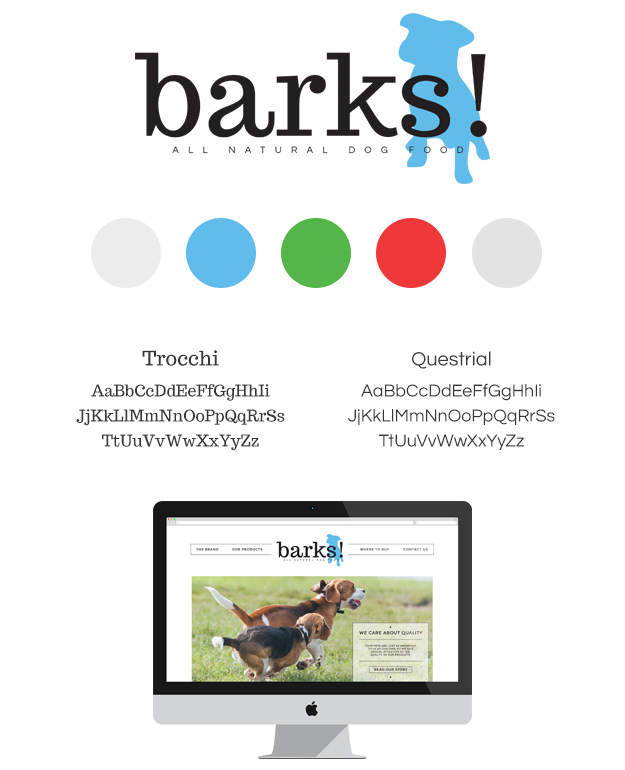 I am so excited to finally be bringing you the finished project, Barks! Back in October I shared a peek of this project with y’all. It seems like it’s been such a long time coming, but I am so happy that I completed this and with how the whole project turned out. So – the back story! 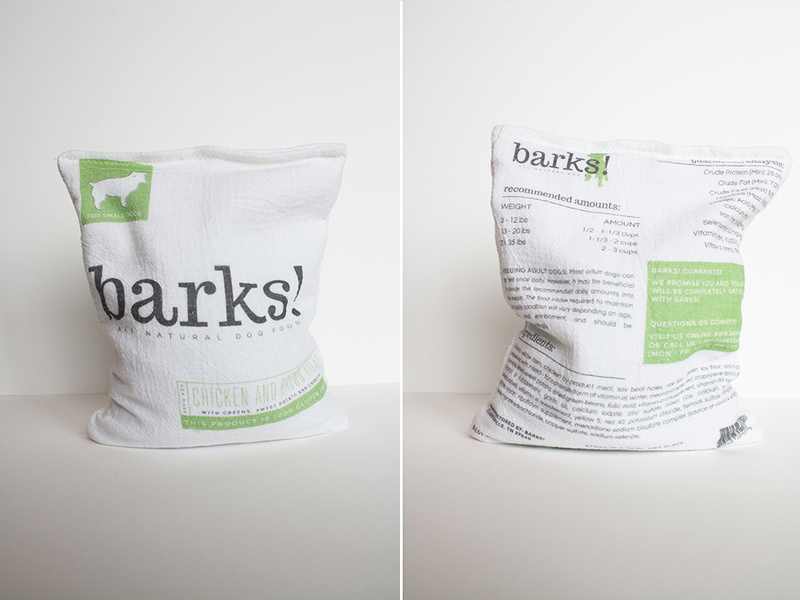 For my senior thesis project I decided to create a dog food brand and primarily work on the packaging for it. I decided to do that because I get a lot of experience working with all my fantastic clients on branding, but I didn’t feel like I had my fair share of experience with packaging. I also ended up dabbling in two other areas that I hadn’t worked with before – ads and infographics. Today all I’m sharing is the brand board and the main part of the packaging – the bag of food. I’m super thankful that my parents worked with me on this project while I was home over Thanksgiving break. Mad props to my mom for sewing the bag for me! I’m really stoked on the bag. There are a few minor imperfections, but it looks good regardless. I’ll have more pictures of the project when my portfolio site launches! This is awesome Kory! I love the simplicity of it all!! Thanks, Danielle! Simplicity might as well be my middle name, haha! Oh yes, that bag is amazing! Seriously, branding is so important and I would totally buy that for my pup just from that bag (well, and the quality of the food is important too lol) Absolutely love it, Kory! I quite like this, so well executed! And the bag looks perfectly good to me, I’d definitely buy this for my dog.